Hi guys! I bought mine last Oct 10, 2014. It worked well and good till this morning. Last thing I remembered doing with it was using it to browse through FB. I fell asleep, woke up the next day, and found that the phone was still working fine and was still connected to the internet but it had low battery. I tried to charge it right after but found that the phone was not charging. I thought that it might be the charger so I tried to use the charger for another device and it worked well. I tried turning off the device to charge it as well but it didn't charged all it gave me was the icon that it was charging but the green indicator that shows the progress of the charge was not moving or was showing any indication of movement. As I pulled out the charger from the usb port, I noticed that the charge icon didn't go away. I waited for it to go away and then tried to charge via USB cable though my computer but I still had no luck. A little later the dead android icon came on saying "no command." I brought my phone to a service center and they told me to wait for their diagnosis for 3-5 days. They tried to do the same and the condition was still the same. - I never left my phone charging alone neither did I overcharge it. I always made sure I had close watch for I had previous experiences with overcharging my other phones. - I never downloaded any games nor went to compromised sites. My phone was just for calls, emails, text messages,taking pictures via instagram and facebook. - The day before I was still able to charge my phone both via an electric outlet and through a USB port. It went well no issues at all. - Usually my phone last for 1-2 days before charging again. Which makes me suspect that the problem might have been caused by leaving the phone in a state of inactive internet browsing that could have caused an overheat through the night though the phone was not even the normal temperature when in use. - My local ASUS customer service tells me that the problem might have been caused by the recent upgrade to Android Kitkat version. Unfortunately, I had my phone set to find updates and automatically install them whenever there is one. I just hope that it can be fixed since the phone is just 45 days with me. 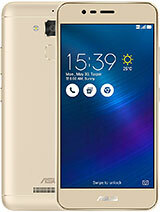 No words to Describe Superb Phone With Mid Budget. 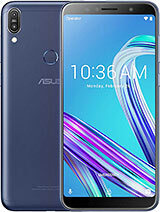 Now there is new Zf5 lite which has battery bach up 2500ma it's disapointing that mine has only 2100ma in the same body, yes there is less hardweare inside(lite version) but i'm sure if Asus want it they could put the bigger battery in my t00j model. Guys... i hv my call waiting facility on, on my ZF5 but if my one call is on and another call comes and i try to pickup that call then both the calls get disconnected. So what should i do so that calls don't get disconnected????? 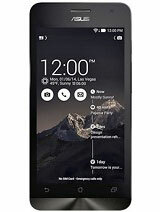 jj, 23 Nov 2014Guys, am writing this review after using this phone for two months. 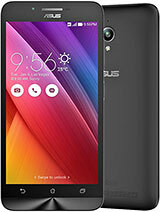 Phone looks good but co... moreHave you reviewed Redmi 1S in this section and mistakenly typed ASUS? :P LOL..!! 1) Seems your a diamond merchent, to keep something that hard to scratch the screen. Yes anything that is above the hardness limit mentioned by Corning for its Gorilla Glass 3 will surely scratch it and ASUS ain't responsible for it. 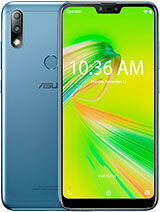 2) Well, I know what is poor network as I had a SAMSUNG phone with pathetic network and mind me ASUS has a better network reception and its par with its competitors in this range. 3) There were Wifi issues that must have caused this opinion but as of now for me I see no wifi issues even with the range tested on my previous SAMSUNG phone. 4) Yes the battery is an issue and Intel is to be blamed for it and some what Android for not being so much optimized for Intel SOC's. As far as gaming is concerned, the more GPU you use the more you'll see the drain cmg your way. The more screen time, more the drain. From complete 0% charge to full it takes 3hrs, any phone would take that much time and if you want fast charging consider a higher A charger and cry that your battery life has decreased and blame ASUS for it. 5) Your definitely using Redmi 1S and reviewing in ASUS section coz not a damn person can say its lagging. Its a great performer than the Redmi, I won't even think of comparing it. Mind me, my sister has a Redmi so I know. 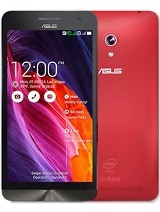 My review is based on two Zenfone 5 and a Redmi 1S. frndz last week I bought it but I face a problem battery was automatically decreases plz suggest me what's happened? Hi guys,does this zenphone 5 thingy play MOST audio files? I dragged ripped files in my windows laptop to the sd card and tried to play it on the phone using all kinds of music player but a message popped up saying the phone does not support this kind of file format I think. Thanks to all for answers. 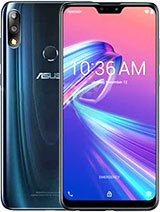 It's said that Asus has not yet adopted ART Runtime and hence as a result, battery life suffers due to the x86 nature of the Intel Atom Processor... But with Lollipop, all these issues will be gone forever... Is all that true? Thanx for your quick reaponse guys.. I have already updated my phone into KITKAT.. And as of now I don't have any issues reg. this phone.. So far so good and all are in smooth way even in my battery and games.. Its a good choice for me and for my needs..
zac14, 23 Nov 2014Plz guys tell me if I should go for this phone or not. Specs are good. And I am very good at t... morePlaying games in Zenfone5 is flawless, I did not experience so far any lagging. The only problem you will face if you will use it primarily for gaming is its battery...the battery will be drained relatively fast if you will always use it for gaming. As for my experience for this phone, the only downside I noticed are battery and weak rear speaker...if you keep playing games or watching videos in this phone it will surely drain your battery in a few hours. 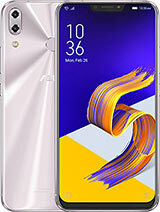 With regards to phone performance like browsing the net, playing games and other stuffs you can do in a android phone...zenfone5 is probably the best in its price category. 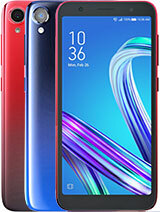 This phone is way better than other dual core phones because of its Hyper-Threading capability (as per gsmarena blog, this means the OS sees it as quad-core CPU) and simply because its using intel chipset, it can even match other quad core phones in terms of speed. **this is just my opinion and experience on this phone so far and not mentioning the bugs I encountered when I first updated to kitkat OS. Currently, my phone is now bug free (I think so...hehehe) after installing the latest OS update I received from Asus. 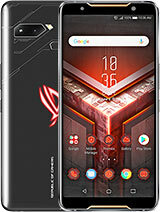 The only remaining concerns are battery and weak rear speaker (if I will compare it to my previous phone, my previous phone has a better speaker).